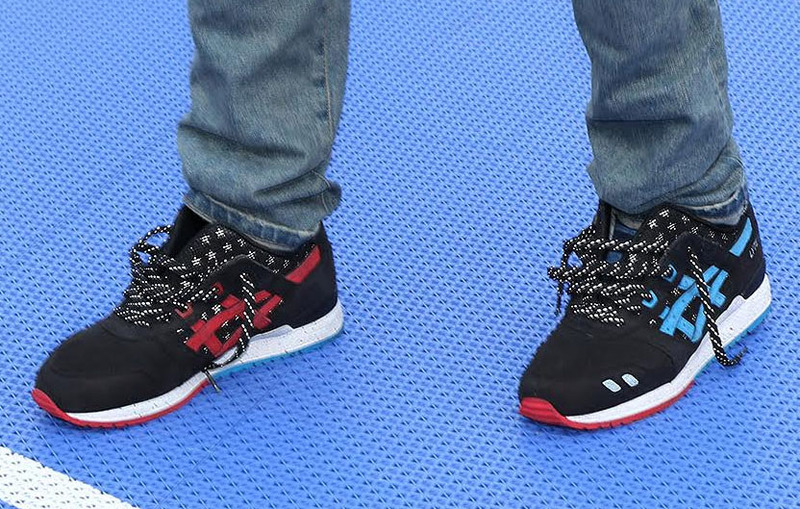 After formally announcing their partnership last month, retailer VILLA and Wale reveal their first collaboration — the "Bottle Rocket" ASICS GEL-Lyte III. Just ahead of Independence Day, the trio delivers a new take on the archive runner. 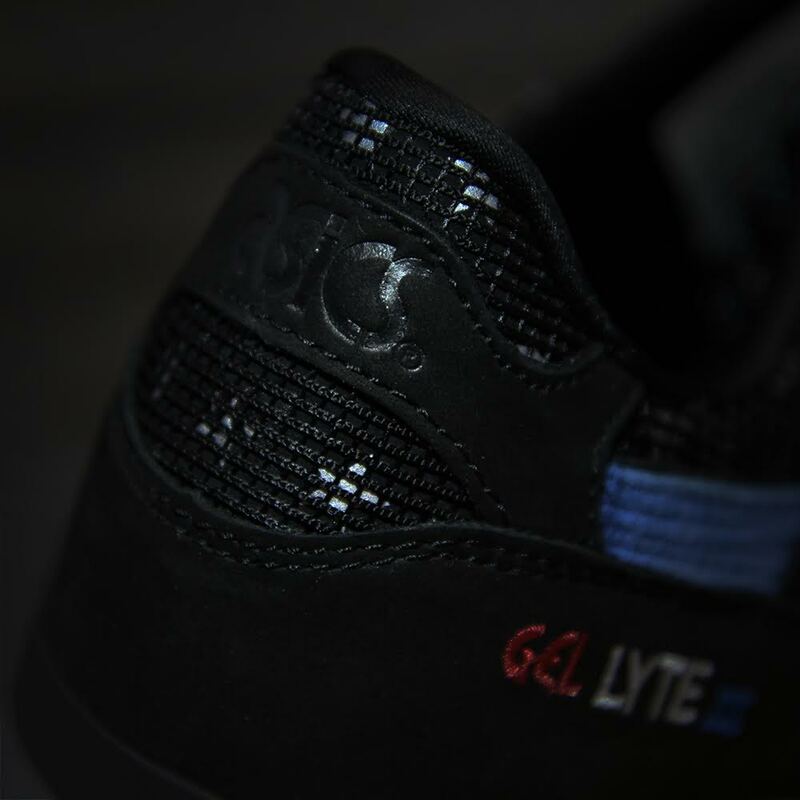 While not much is shown in the teaser photo, it does hint at a black-based shoe with red, white and blue branding hits and a star pattern along the heel. What is known is the release date; the collab will release on Friday, June 26 for $160. More details in the coming weeks. 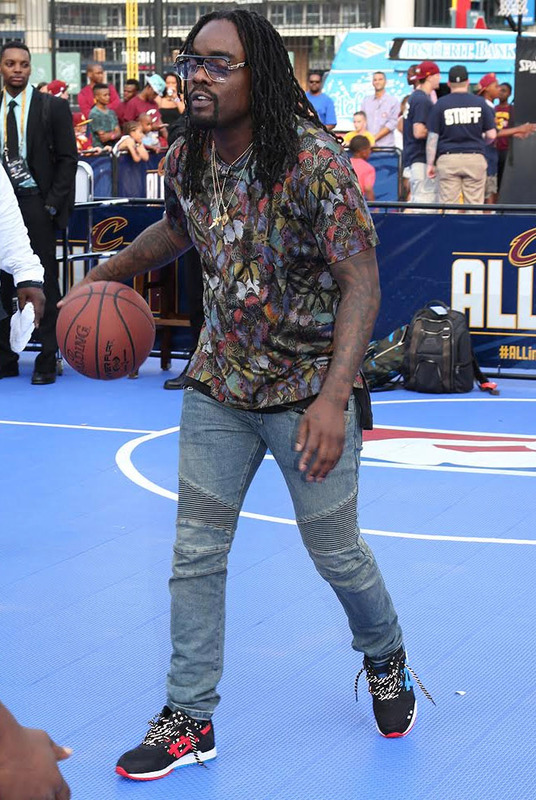 VILLA x Wale x ASICS GEL-Lyte III "Bottle Rocket"
UPDATE 6/12: Sometime before or after crossing up some guy in a pair of Timberland boots, Wale previewed the "Bottle Rocket" Asics Gel-Lyte III at the NBA Finals in Cleveland yesterday. 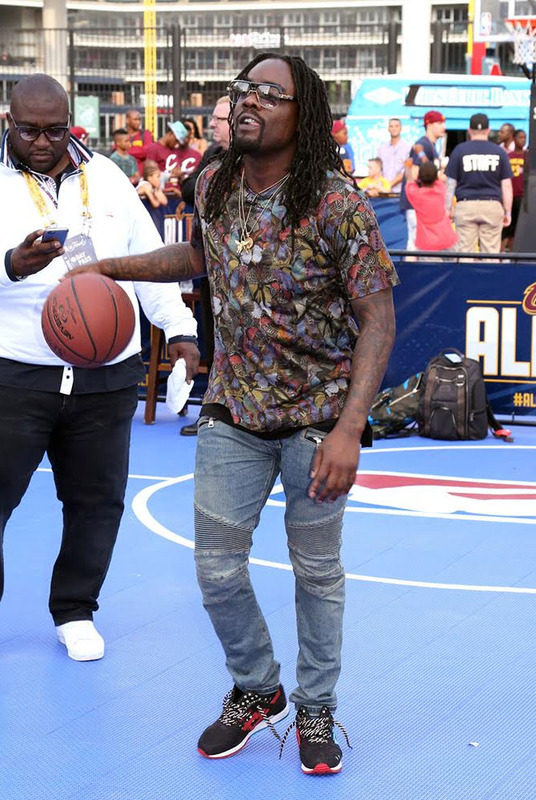 New photos courtesy of VILLA provide us with the best look yet. 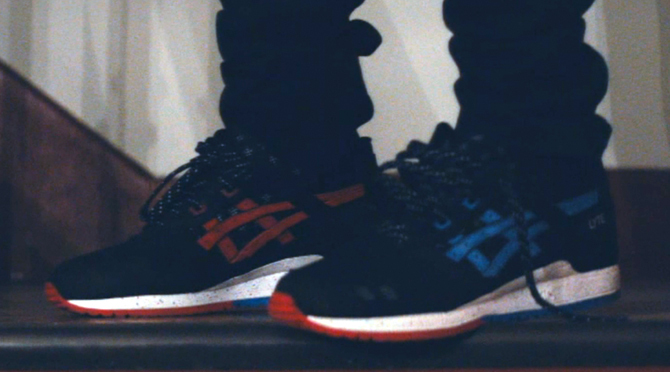 UPDATE 6/8: Wale covertly showed off the upcoming VILLA x Wale x ASICS GEL-Lyte III "Bottle Rocket" in his new video for "The Matrimony," seen here. The sneakers appear at around the 3:48 mark.